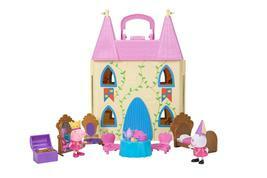 You are cordially invited to tea at Princess Peppa’s Castle! Explore the castle’s six rooms and experience a day in the life of royalty with Princess Peppa and Princess Suzy. 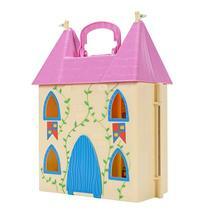 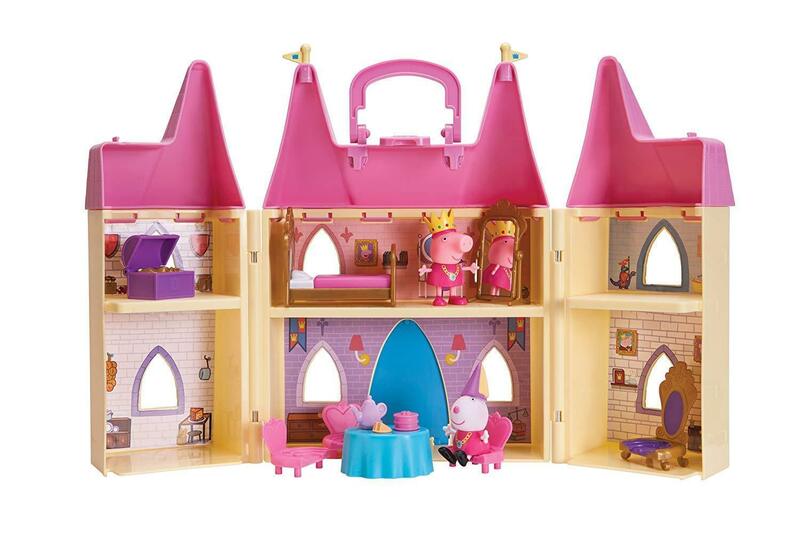 The castle is compatible with all Peppa Pig figures, so you can invite your friends to join the party too! Once you’re finished, Peppa’s castle folds away to store all accessories, and has a carry-handle so you can take your castle on all kinds of adventures! Castle playset includes Princess Peppa and Princess Suzy figures, a treasure chest, princess bed, full-size mirror, throne, 3 dining chairs, and a dining table with tea setPlayset is built in scale with your favorite Peppa Pig playsets and compatible with all Peppa Pig figures!